First Grade Kate: End of the Year Deals + FLASH FREEBIE! End of the Year Deals + FLASH FREEBIE! 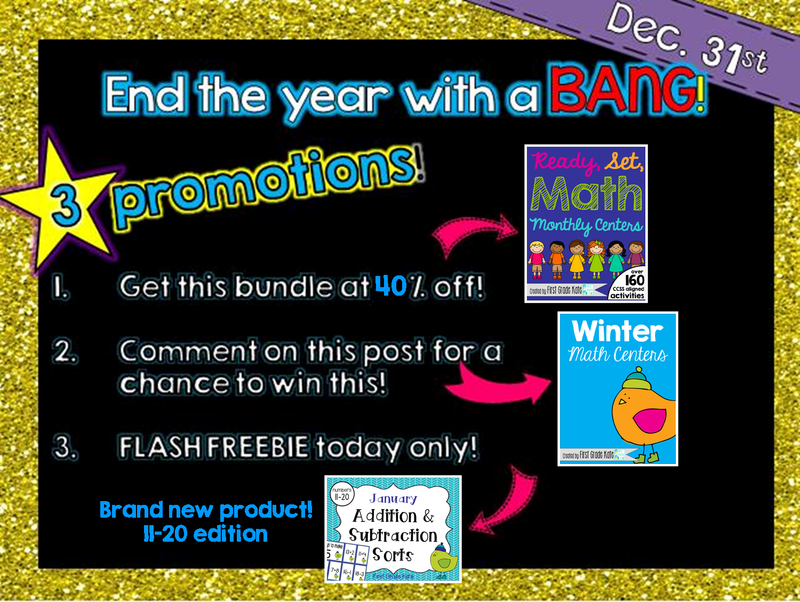 A group of teacher friends and I are holding some fabulous New Year's Eve deals! My "Ready, Set, Math" bundle is 40% off today, making a year's worth of math centers only $30! PLUS, we are doing some flash freebies! I am in the process of creating Addition & Subtraction Fluency Sorts for Numbers 11-20, and I've listed the January set as a freebie for today only!